The World Bank will support drinking water supply and sanitation projects in rural Senegal with $130 million. It is a programme set up by the government to relieve people who do not have access to its services. In Senegal, the rate of access to drinking water is 94.6 per cent (2017 figure). This good rating is due in particular to the construction of boreholes, water towers and multi-village water supply networks. All these achievements are part of Senegal’s Sustainable Development Goals (SDGs). While this work has benefited most Senegalese, the western centre of the country remains a weak link, particularly because of its large population. Access to drinking water remains partly problematic, but access to sanitation is even more critical there. That is why Oumar Diallo, the World Bank’s main referent on water and sanitation, based in Dakar (Senegal), has specified that the 130 billion dollars injected by the International Development Association (IDA, an institution of the World Bank) will be destined primarily for this part of the country, which represents 1.5 million people, or 10% of the Senegalese population. 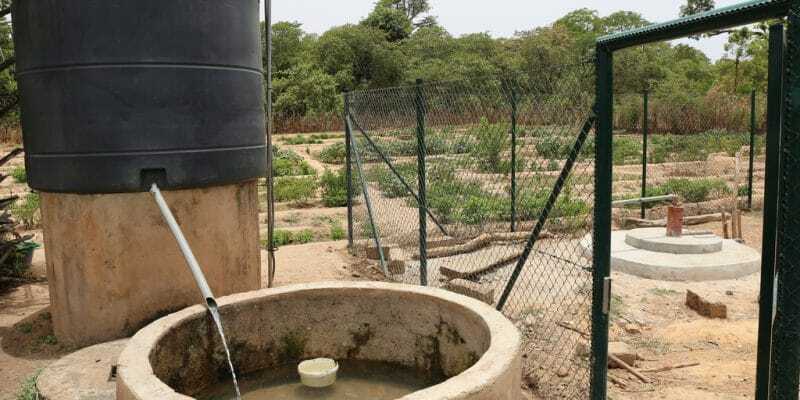 “The beneficiaries will have access to running water through household connections and standpipes, in addition to family latrines, household connections to collective sanitation networks and toilets in schools, health centres and markets,” he said. These objectives will be achieved through local private sector companies that have expertise in building water infrastructure and sanitation systems. Access to sanitation remains very critical in Senegal. In this West African country, 285,600 m3 is used by the populations who have access to water every day. However, only 61,400 m3 per day, or less than half of the wastewater, can be recovered by wastewater treatment plants (Ministry of Hydraulics and Sanitation, 2017). The situation is even more complicated in rural areas where people do not have equitable access to latrines. A situation that exposes them to many diseases. In urban areas, access to sanitation is also a critical issue, especially during this rainy season. Pipes are sometimes blocked by waste that is not recovered. This is what causes flooding in several cities in West Africa during the heavy rainy seasons. It is precisely to avoid this disaster that the authorities have released a sum of 1.8 billion CFA francs (over 2.7 million euros) for the maintenance of pipelines (very temporary solution) in cities at risk like Dakar the capital. The $130 million pledged by the World Bank may help find a sustainable solution to the sanitation problem in this country of more than 15 million people.